Bangladesh and India today signed a memorandum of understanding (MoU) on the route permit for carrying petroleum goods from Assam to Tripura through Bangladesh territory. 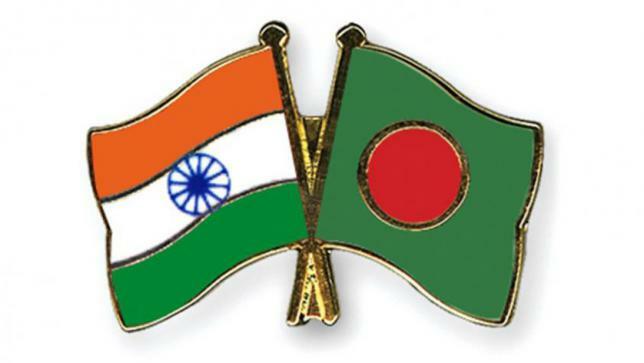 This is a short-term deal and Bangladesh side agreed to the Indian proposal to grant validity of the MoU till September 30, officials in Dhaka said. “Based on the request by the Government of India, the Government of Bangladesh has granted permission for the movement of petroleum goods on humanitarian grounds through the territory of Bangladesh till September 2016,” said a press release of the High Commission of India. Indian Oil Corporation Limited (IOCL), a Public sector unit under the Ministry of Petroleum and Natural Gas of the Government of India, and the Roads and Highways Department of the Government of Bangladesh (RHD) signed the deal. India made the request following heavy monsoons and extremely bad road conditions of NH44 have resulted in the disruption in the supply of Petroleum Goods from the State of Assam to the State of Tripura in India. Diplomatic sources said the MoU will facilitate India to carry Petroleum Goods (Motor Spirit, High Speed Diesel, Superior Kerosene Oil & Liquefied Petroleum Gas) from Assam to Tripura through Bangladesh territory as the normal Indian roads for oil transportation have been badly damaged by the recent flood. Trucks carrying the petroleum goods will play in the Dawki (Meghalaya) – Tamabil (Bangladesh) – Chatlapur (Bangladesh) – Kailasshar (Tripura) route. Bangladesh and India allowed each other to use their respective territories to transfer goods to their one place to another and to a third country in the past in addition to existing transit and transshipment deals arrangements.